By using the MSI format, administrators can now deploy the Parallels Client remotely by using Group Policies or any other deployment tool that accepts the MSI format. Installing the Parallels Client on remote computers using the MSI is much easier and will reduce the chance of user error during the installation process. Open the original MSI. File > Open > Browse to the MSI > Click Open. Start a new transform. Click on the top Transform menu, and select New Transform. Make changes. Navigate to a table you want to edit, and modify values. At the Property table we've set TUXGINA parameter to 1 in order to exclude Single Sign On component during the installation. Generate the transform file. Click on the top Transform menu, and select Generate Transform. Save the transform file. Enter in a name for the transform file, and click Save. 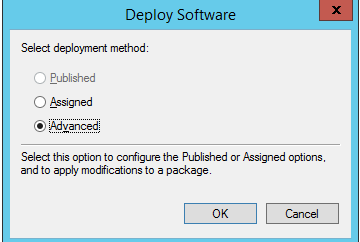 Set permissions on this folder in order to allow access to the distribution package. 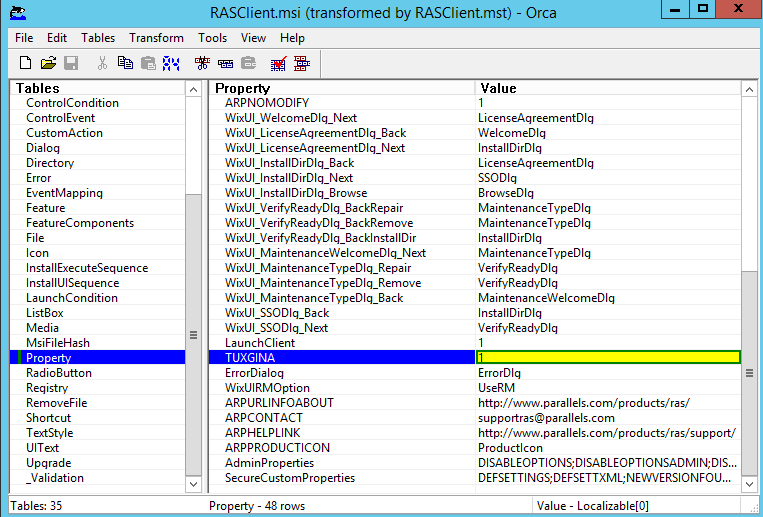 Copy the Parallels Client MSI an MST files you prepared in the shared folder. 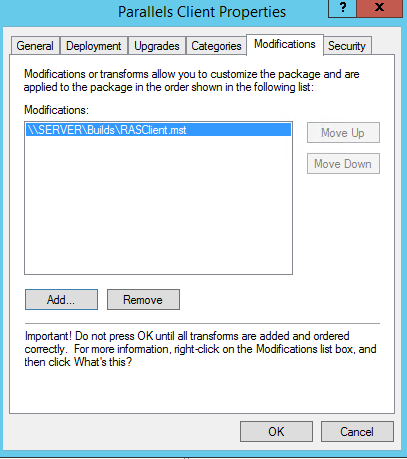 Create a Group Policy Object. Set the name for Group Policy and click OK. Select to which groups, users or computer the policy will be applied. Parallels recommends that administrators assign the applications to COMPUTERS. The main reason is that the application is actually installed the next time the computer reboots. When assigning to users, the application is not installed until the user actually clicks on the icons created for the application. 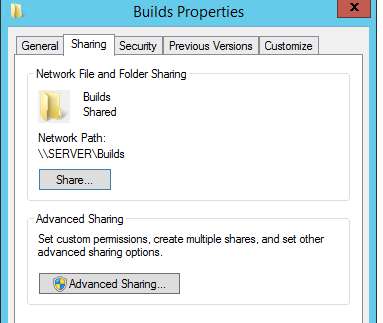 In the Open dialog type the full UNC path of the shared package you want to assign > click on the Open button.